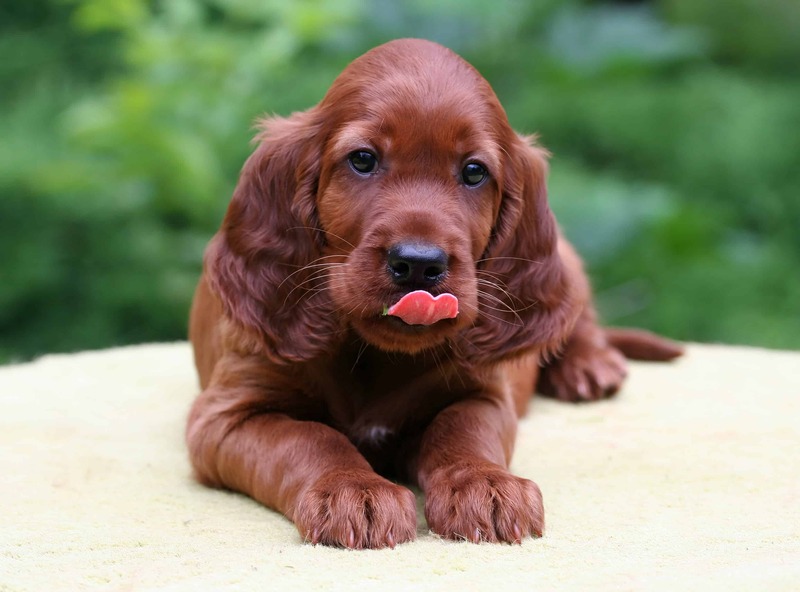 The Irish Setter is widely known as the Red Setter, is a large dog that contains mahogany or chestnut coat. They don’t shed that much as we could think of, which is far more convenient. In the same time, it is important to brush them every once-a-while. 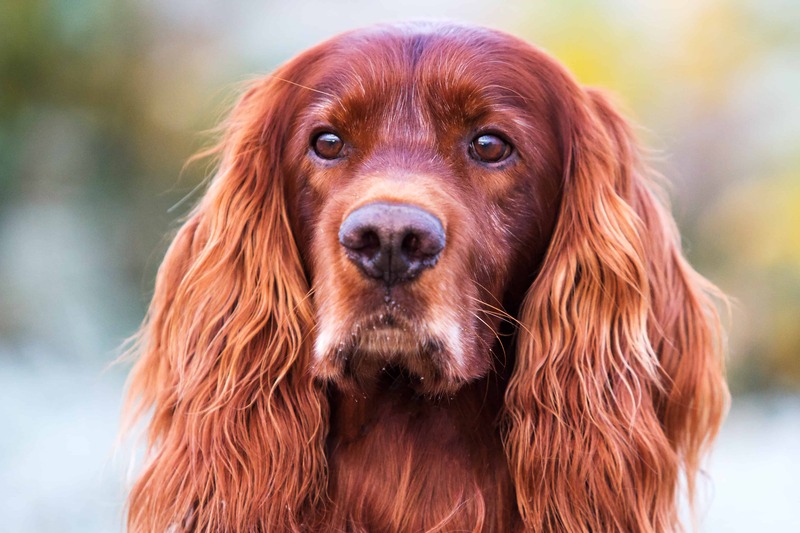 The Irish Setter requires lots of exercises because they have high levels of energy that they need in order to explore around areas. 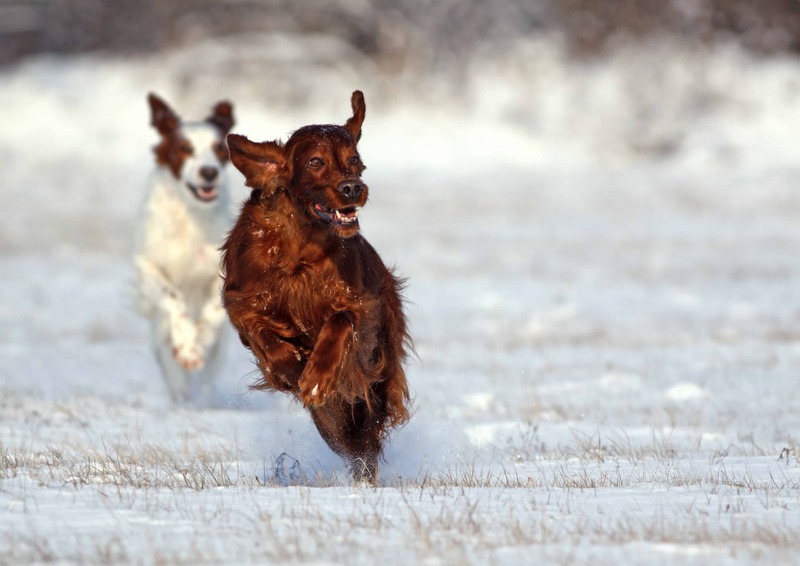 You have to take them for minimum two walks on daily basis, but don’t you ever keep them confined because that could lead to destructive behaviour. 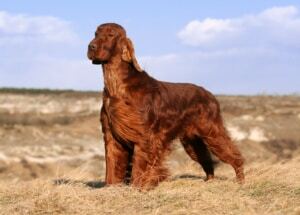 Irish Setters can reach up to 70 cm in height and 34 kg in weight. They live approximately 12 years. Irish Setter is domestic Ireland dog. 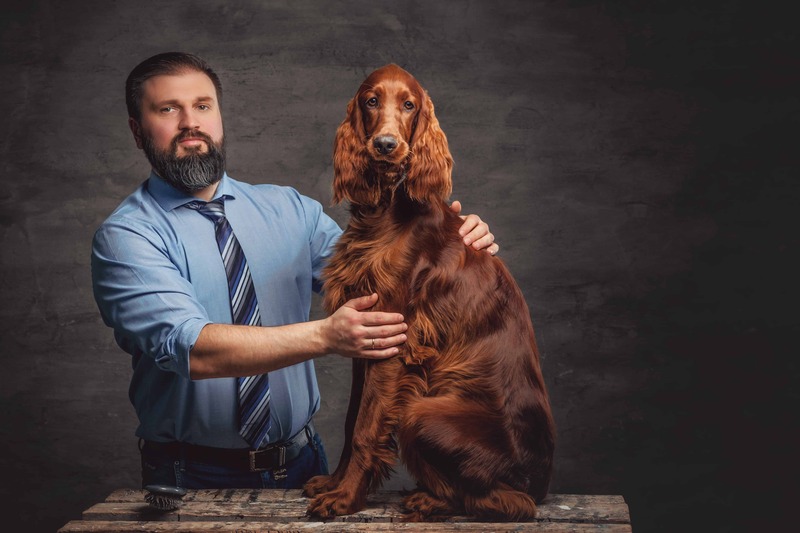 The history gets us back in the 18th century, and many experts consider that they are developed by combining Gordon Setters, Pointers, English Setters, and Spaniels. In the past, they had a red coat that was sprinkled with dots on the top. They were introduced in the US at the end of 19th century. 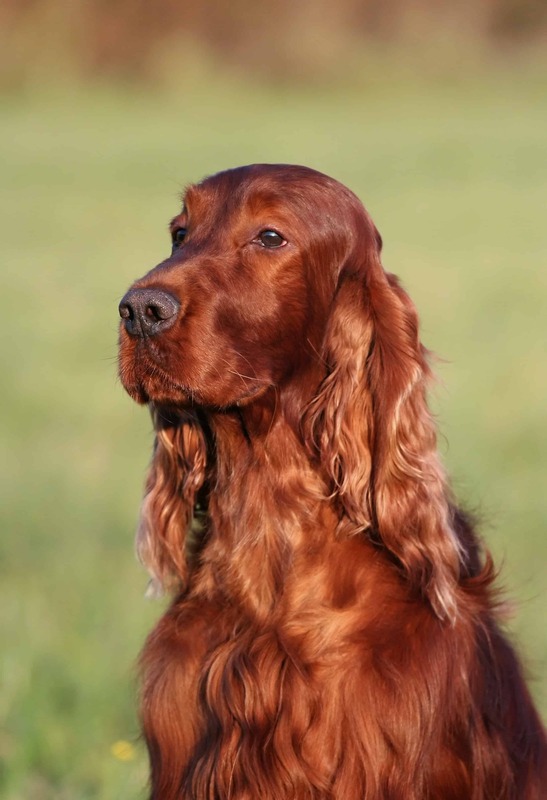 Irish Setters are known for playful highly energetic, loving, bubbling and excitable. 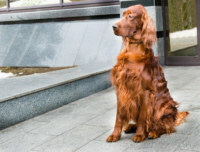 You have to understand that they are not suited to be left alone for much time because that could lead to bored and therefore destructive behaviour. 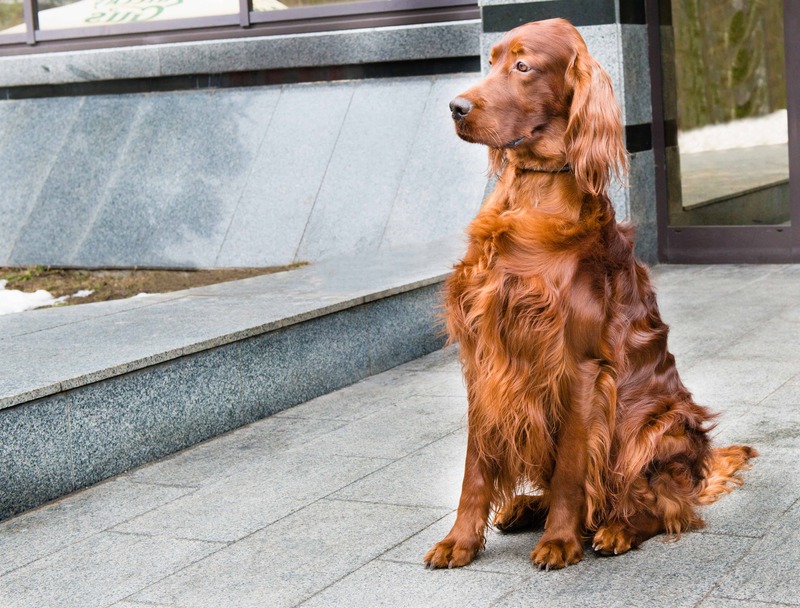 They are very protective, especially for their young ones, but still, they are not good guard dogs. 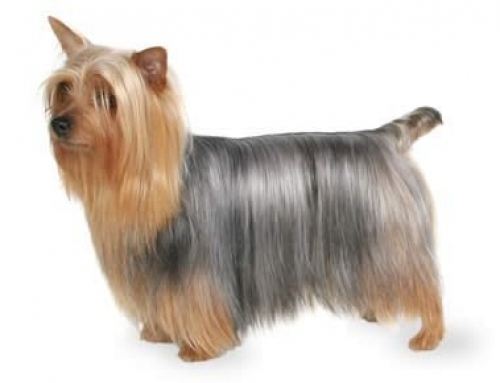 They are easy to train but have a tendency to howl and bark if irritated. 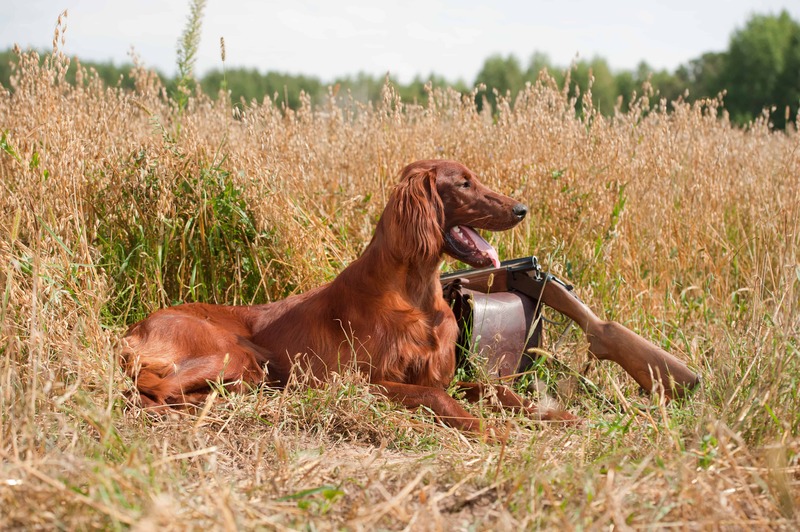 You have to stimulate the obedience, agility and tracking training, but also as therapy dogs because of friendly and warm nature. Irish Setters live with puppy brain all lifelong. Harry Truman, Richard Nixon, and Ronald Reagan were three presidents that owned Irish Setter.